LSI Industries has been providing Clark and Crown branded image elements since 1993. Today, LSI specifically manufactures Clark and Crown canopy and building fascia film and logos, dispenser door graphics, dispenser product ID panels, dispenser valance graphics and fuel island regulatory and warning decals. LSI Industries Inc., founded in 1976, is an image solutions company combining integrated design, manufacturing and technology to supply high quality lighting fixtures and graphic elements for applications in retail, specialty niche and commercial markets. LSI Lighting Solutions Plus produces high performance, energy efficient lighting products dedicated to outdoor, architectural outdoor, indoor, architectural indoor and accent/down-light applications. Click here to visit the Everbrite extranet for Clark and Crown signs. Everbrite provides full standard and custom sign services to Clark and Crown, including logo faces, conventional and LED gas price signs. Everbrite works with the latest in LED technology and they work with your installers from survey to installation, to provide you with the signage you need to make your business stand out. With over 800 dedicated employees, Everbrite, LLC is committed to continually exceed the needs of our customers. Since 1927, Everbrite has combined innovation with excellence to provide value-added, total image solutions to leading companies worldwide. Today, Everbrite is a recognized leader in the visual identification industry offering unrivaled capabilities in design, engineering and manufacturing. Hempel Inc. coatings are now available in Clark and Crown colors. Enjoy superior color holding capabilities as well as the long life of a Hempel coating. When using Hempel coatings, Clark and Crown stores will realize significant savings over the next several years and the sites will look great. We are delighted to offer this top quality paint for our customers. Individual price list/order forms are easy to read and include all associated primers, reducers, helpful painting tips, ordering information as well as contact information for technical assistance. 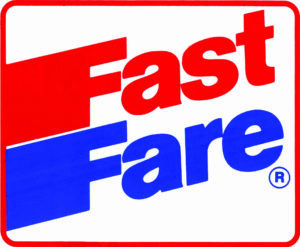 Orders may be placed by toll free fax, toll free telephone or email direct to customer service. Orders received by noon Central Time are generally shipped same day and not later than 24 hours from receipt of order. All approved colors are "pre-formulated" so as not to delay orders and assure color consistency from order to order. One stop shopping for all paint colors. Field Application Guide Instructions and Installation Notes are provided for all coatings applications and are available by email, fax or direct mail. Commitment of Continual Improvement: Hempel and Clark Brands welcome your feedback on how we can improve our service and products for the brand image. We are proud to partner with Hempel to offer the finest coatings for our locations. Click here for the Hempel Clark Order Form. Clark is now partnered with Sherwin-Williams Paint Company. The Clark paints are available at Sherwin-Williams nationwide and their Coatings Representatives are available for site visits to assist in any project. Beyond the specified products and colors for exterior branding, Sherwin-Williams provides a host of niche products for all of your maintenance needs, from Traffic Marking paint to Roof Coatings and Sundries to large equipment. Click here for the Sherwin-Williams Order Form. Click here for Sherwin-Williams exterior specifications. Click here for Sherwin-Williams color specifications. Use Adobe Acrobat Reader to view PDF files. 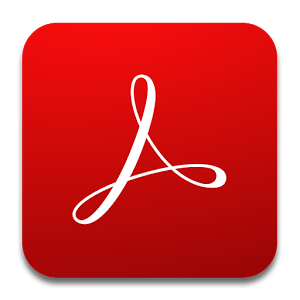 If you do not have Adobe Acrobat Reader, you can access the free download now by clicking the "Adobe Reader" button to the left. Petroleum Parts Inc. (PPI) is a leading supplier of Clark and Crown branded dispenser graphic overlays and replacement exterior sheet metal. Their materials are available to rebrand or "facelift" nearly any brand or model of petroleum dispenser. Clark and Crown branded graphics are available for Gilbarco, Wayne and Tokheim dispensers and are made to OEM specifications for easy field installation and long service life. In addition to graphics, PPI provides custom-fabricated sheet metal and exterior trim for all major-manufacturer gas pumps/dispensers including Tokheim, Wayne , Gilbarco and Schlumberger. These easy to install parts are designed to give your existing dispensers a "like-new" appearance when used in conjunction with PPI graphic packages. Domestically and internationally, PPI supports the petroleum industry through an expansive line of dispenser graphics and parts. PPI's product line includes dispenser graphics, electronic circuit boards and printers, meters, key pads, card readers, encoders, pulsers, POS systems, control boxes, PCI compliant upgrades and replacement sheet metal and exterior trim. Their PPI-DurEquip division is a petroleum-industry specialist in remanufactured/rebuilt Tokheim, Schlumberger, Gilbarco, and Wayne gas pumps/dispensers. Their processes ensure that these remanufactured products are remanufactured to original OEM standards or better and you receive them "island-ready," costing thousands of dollars less than brand-new gas pumps/dispensers. Read the full April 2019 Clark Crown Connection by CLICKING HERE. Read the full January 2019 Clark Crown Connection by CLICKING HERE. The Save Every Mile® mobile application is now available in the Apple App Store and the Google Play Store. Consumers are able to use the mobile app to search for Clark and Crown locations along with the ability to purchase digital gift cards for use at participating locations. 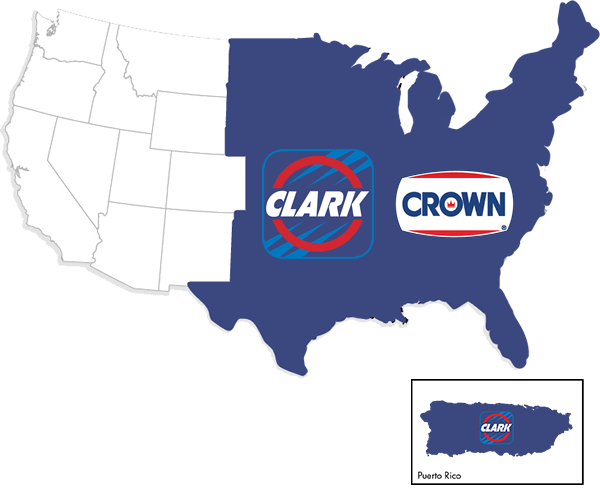 Clark Brands is made up of nearly 1,000 gas stations in 32 states, the District of Columbia and Puerto Rico. Our stations create jobs and service thousands of customers like you each day. As independent merchants, Clark and Crown locations have close ties to their local community. We are proud of our local focus, and we look forward to serving you in the future.